4k00:31Aerial view of a scenic road in the valley surrounded by the beautiful Canadian Mountain Landscape during a sunny summer day. Taken near Banff, Alberta, Canada. 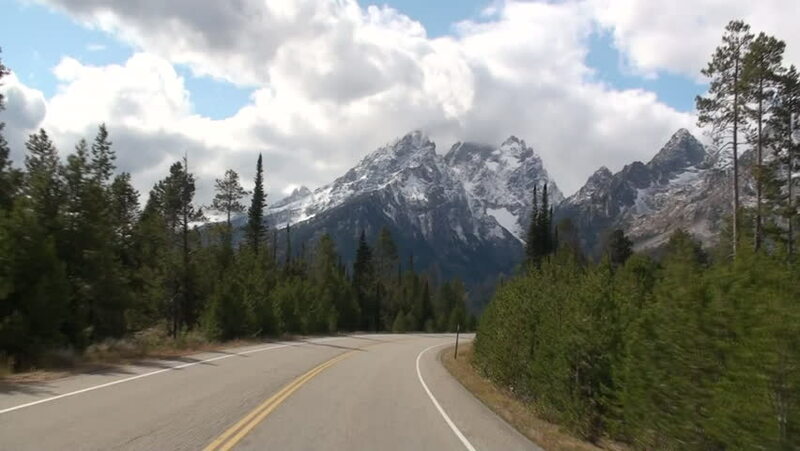 4k00:29JACKSON HOLE, WYOMING - JUN 2015: Driving POV Grand Teton NP forest towards mountain 4K. Point of view drive. Grand Teton National Park. mountain range extends 40 miles with peaks of over 13,000 feet.